There is so much hate in this world. Too much hate. And sometimes, in the midst of this darkness, it becomes all too easy to forget about the other side of the coin—the side that suffuses many of our lives on a regular basis. The side that shines a light on humanity. Goodness. Compassion. I get it. Turning on the news can be frightening, and sometimes, the stories seem to get bleaker by the day. Some days, watching the news leaves me feeling nothing but sick to my stomach. It is on those days especially that I sit and I wonder what I, a mom of two small boys, can do to make a difference. Sometimes I fear it is not much. I am not involved in governmental affairs. I am not a lobbyist, a politician, or a policy maker with connections to the powers that be. Heck, I am not even a teacher. So how can I make an impact here? How can I flood the world with goodness? In the wake of recent current events, I’m reminded of the words of a great icon from my childhood: the kind-hearted Mister Rogers. His television show exemplified those qualities we must remember still exist in the world today. Mister Rogers once stated, “When I was a boy, and I would see scary things in the news, my mother would say to me, ‘Look for the helpers. You will always find people who are helping.’” I love this quote—it is so powerful in its simplicity, so profound. There are always people helping. And often times, these helpers are people just like you and me—parents and educators and caregivers who have the power in our own homes and schools to reach and help so many children. Maybe I don’t have the ability to bring about social change on a global level, but there are certainly things I can do as a parent to spread compassion. I can start by talking to my boys. I can model the virtues of kindness and empathy—the very traits I hope to instill in them. I can teach them the value of diversity, and how the world could be a magical place if only we learned to embrace our differences instead of rejecting them. It may sound like a daunting task, but there is one time-tested way to impart these powerful lessons to your children, and it is actually not challenging at all. 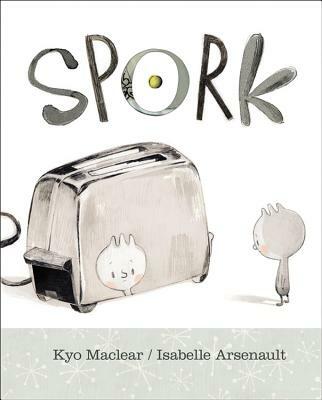 To the contrary, it is quite simple: read to your kids. Read every day. 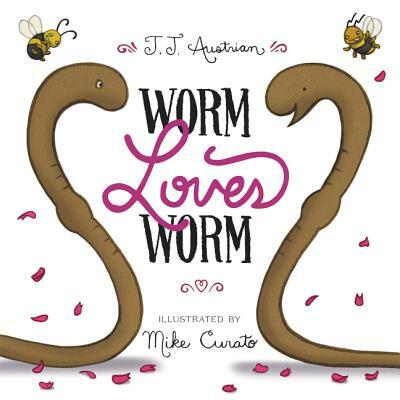 Flood their story times with books about acceptance and empathy, like Worm Loves Worm and Last Stop on Market Street. 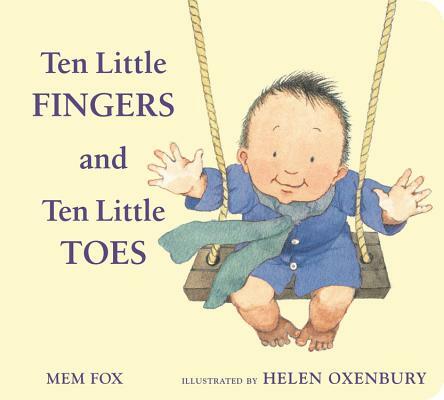 Convey the message that we are all one and the same—we are all people, with beating hearts and healing hands—with books like Ten Little Fingers and Ten Little Toes. 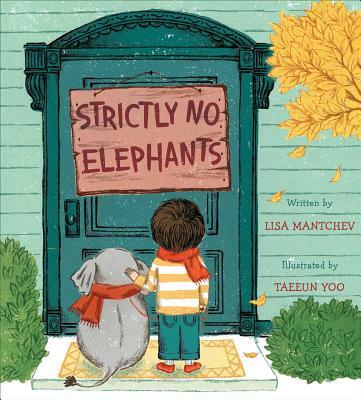 Show them the beauty that can be found in celebrating inclusiveness with books like Strictly No Elephants and Spork. 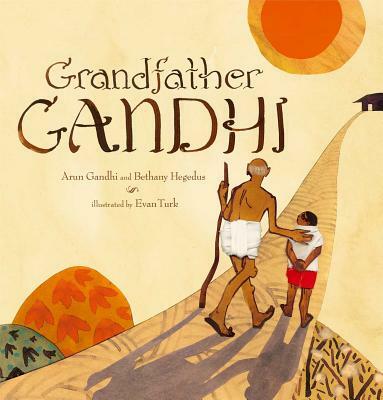 Impart the message of peace with the beautiful Grandfather Gandhi . 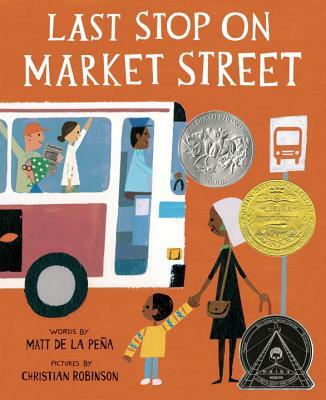 Children’s literature has the power to communicate those values that we must never let be eclipsed by hate. It has the power to transcend gender, race and religion. Kids books have the power to unite us all for humanity’s sake—to make the world a little brighter. I am so confident that we can do better. We MUST do better. We must do it for our children, to guide them into a new day where compassion glows strongly and divisiveness is always overshadowed by love. So for our kids’ sake, I say this: be the change. Be a helper. 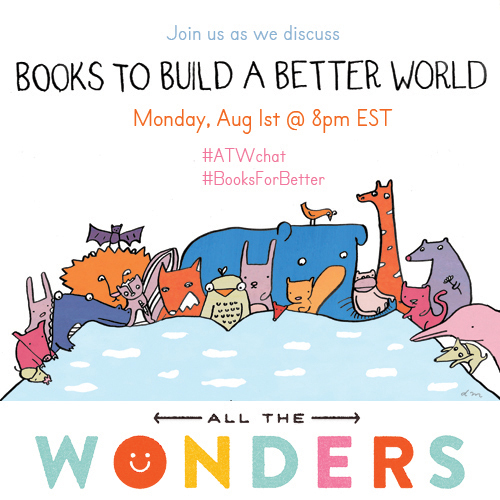 Join us the first Monday of each month (beginning August 1, 2016) at 8pm EST for an #ATWchat about children’s books that showcase the human potential for goodness. Then post your favorite books on this topic on social media under the hashtag #booksforbetter. We’ll be compiling and sharing your ideas, making it simple for every family to find #booksforbetter. Wonderful post! Thanks so much for these helpful book recommendations. What a wonderful idea!! Thank you!